The charity Crime Reduction Initiatives, which has doubled its income to more than £140m in five years, is planning to expand its health services and carry out what it has called a fundamental rebrand this year. 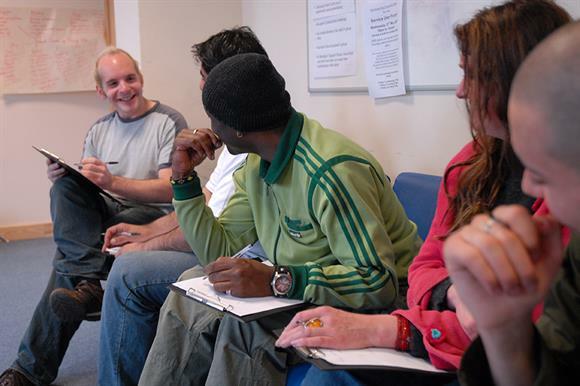 CRI, which provides services including support for vulnerable people facing homelessness, domestic abuse or addiction, began life as a prisoner rehabilitation charity in 1880, but over the past five years its criminal justice services income has grown by only 5 per cent while its other income has risen by 122 per cent to £130m. Its latest annual accounts, for the year to the end of March 2015, were filed with Companies House this week and show that the charity had an income of £141.3m during the year, up from £69m in 2010/11, and an increase of £24.5m on 2013/14. All of its income in 2014/15 came from contracts, except £68,000 of voluntary income and £107,000 of investment income. CRI’s figures include the £4.5m income of the wholly-owned subsidiary Sova, the crime-reduction charity with which it merged in 2012 when Sova was struggling financially and had an income of £5m. New contracts that CRI won in 2014/15 included integrated drug and alcohol services in Gateshead, Nottinghamshire and Richmond, south-west London, and a mental health contact in Dudley. In March, CRI began to deliver what the annual report calls "a substantial contract" to deliver a large community-based drug and alcohol treatment and recovery service across Birmingham, including its first in-patient detoxification unit. The report says the charity is setting its sights beyond drug and alcohol addiction services, with a plan to broaden its services into wider areas of public health concern such as mental health, diabetes and smoking cessation. It also wants to develop its intervention work in areas of complex need such as child sexual exploitation, with a strong focus on prevention and early intervention. The annual report says that the charity’s marketing and communications team will focus on "a fundamental rebrand of the organisation over the coming year to ensure that our brand is fully aligned with our vision and values and effectively supports our businesses". A CRI spokeswoman confirmed that a change of name was under consideration. The charity’s management has set an income growth target of 18.1 per cent over the coming year, having notched up 21 per cent in the past year. Its income growth over the past five years has exceeded growth in staff costs, which climbed by 87 per cent to £96m. Staff numbers rose from 1,637 to 2,374. The number of staff paid more than £60,000 has trebled from 13 to 39 in the same time period, although 31 are paid less than £100,000 – the charity split into three entities in 2013/14, which means it is likely to have required more managers. The salary of the highest-paid staff member, who is not named, increased from the £170,000 to £179,999 bracket to the £180,000 to £189,999 bracket.